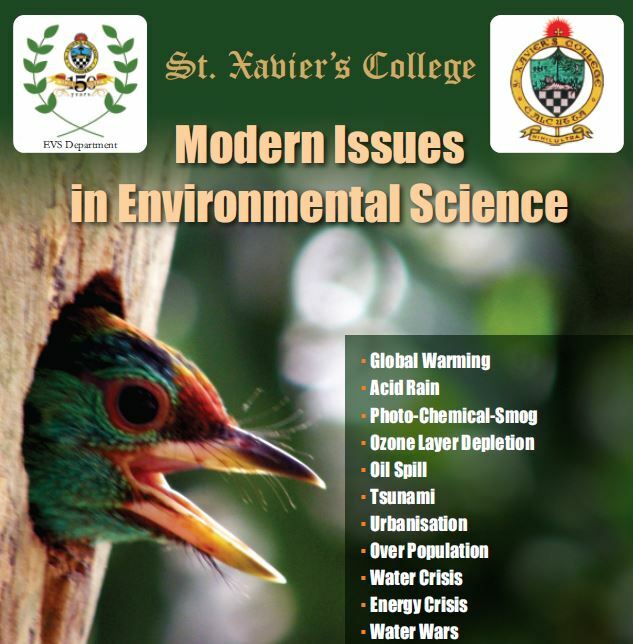 The Department of Environmental Studies of St. Xavier's College, Kolkata has published a journal titled "Modern Issues in Environmental Science" covering various environmental issues like global warming, acid rain, photo-chemical-smog, ozone layer depletion, oil spill, tsunami, urbanization, over population, water crisis, water wars, energy crisis, biodiversity depletion, green building, eco spirituality etc. The articles, written mostly by the students, are an example of what we can make our students to become in life. Download the Journal here.